Aldi has toy Advent calendars available while supplies last. Aldi's Advent calendars sold out quickly at most stores Nov. 7. As expected there was a mad dash on Aldi's first-ever U.S. wine Advent calendars Wednesday – and now the items are pulling in big bucks on eBay. Many Aldi stores across the country sold out of the boozy calendar along with an imported cheese calendar within minutes. 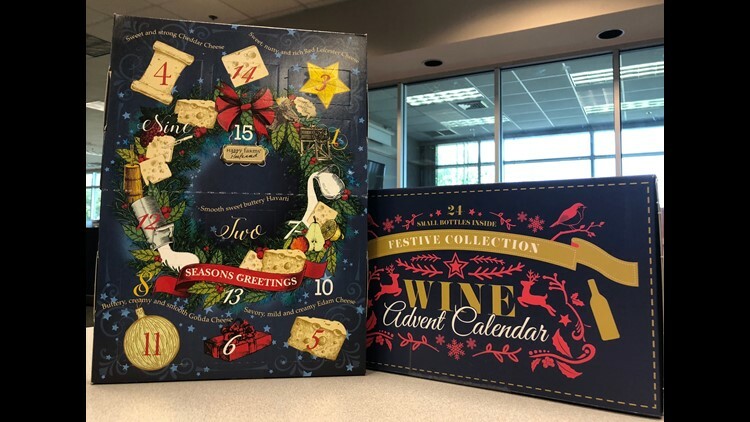 Weighing in at 21 pounds, the Festive Collection Wine Advent Calendar included 24 mini bottles of 12 different varieties for $69.99 and offered holiday revelers a way to drink in conjunction with the Advent, the religious days leading up to Christmas Eve. But there's still a way to still get your hands on the coveted calendar – if you're willing to pay a premium. On Thursday afternoon, there were 46 Aldi calendars for sale on eBay and 26 completed sales. One wine calendar sold for $300 with a $50.85 shipping fee. The Happy Farms Preferred Advent Cheese Calendar also is on eBay but only a few of the refrigerated item are available. The 16.9-ounce calendar sold for $12.99 at Aldi but went for as much as $80 on eBay with a $20 shipping fee. Aldi stores also have toy and candy Advent calendars available while supplies last. 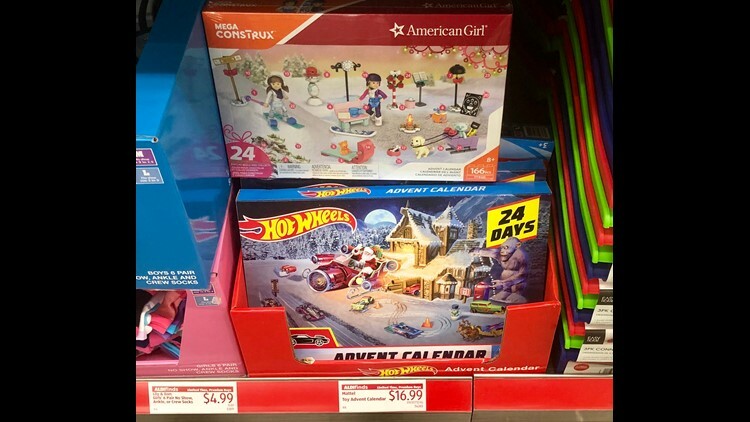 The toy calendars cost $16.99 and there are Hot Wheels and American Girl versions. Aldi said the calendars would not be restocked. When Aldi's calendar didn't make it to the U.S. last year, Cooper's Hawk Winery stepped up. 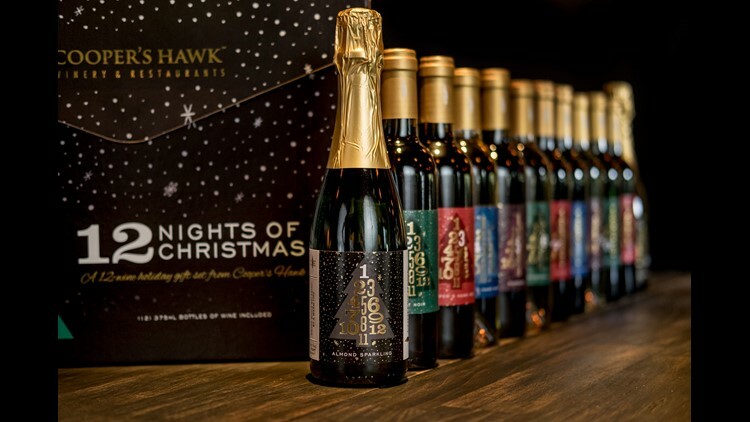 The winery and restaurant with 30 locations across the U.S., is offering an Advent-style gift box complete with 12 small 350-milliliter bottles of wine for $99.99. Retail worker Rick Calloway at the Indianapolis location said Advent calendars were currently out of stock, but the store expected a new shipment Thursday. The store requested 100 or so, but what restaurants actually get varies, he said. This wine set can be purchased online, but the website currently lists it as sold out. Cooper's Hawk wine advent calendar. Cooper's Hawk has a location at 3815 E. 96th St. in Indianapolis.